Jesse Spalding dreads going home from school. He knows he’s walking in a battle zone as his parents fight. After a particularly aggressive clash Jesse heads home late to find the family apartment in Edinburgh’s Southside empty. His father has decided to call it quits and has headed to Belfast via hospital to nurse his wounds. His alcoholic and violent mother has also fled promising to never return. Already known to social services, Jesse is determined not to end up in care and contrive a pretence until one or both parents return. Other than fooling the authorities, he knows the main issue is sourcing money. The rent is due soon and the only solution seems to be to pawn part of his father’s rare record collection -- something Jesse is loathe to do given he’s as much a fan of 1950s and 60s R&B as his dad. But he needs the money now and he’ll worry about getting them back later. 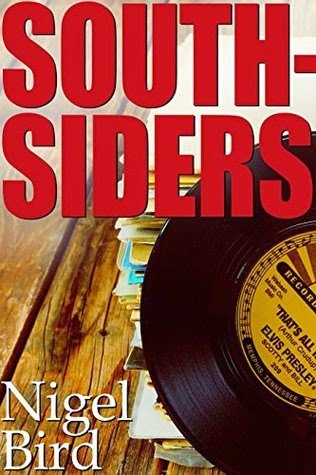 There’s much to like about Nigel Bird’s Southsiders. It has a great set-up -- a kid hooked on 50s R&B abandoned by both parents and trying to survive on his own; a nicely drawn set of characters; and engaging prose that manages to be tough and warm-hearted. I was thoroughly engaged with and entertained by the story and then it just stopped. If Southsiders is part of a series then I can see the logic of drawing the first instalment to a close. The issue for me was the point of closure was too early, with only one element closed, admittedly a key one, but all the others left open. In other words, I didn’t feel we’d got to the end of Act One and moreover I really wanted Act Two there and then as I needed to know how the elements of the first act got resolved - basically Southsiders is a novella that, in my view, would have been more satisfying as a full novel. Overall, then, a well told but truncated tale.